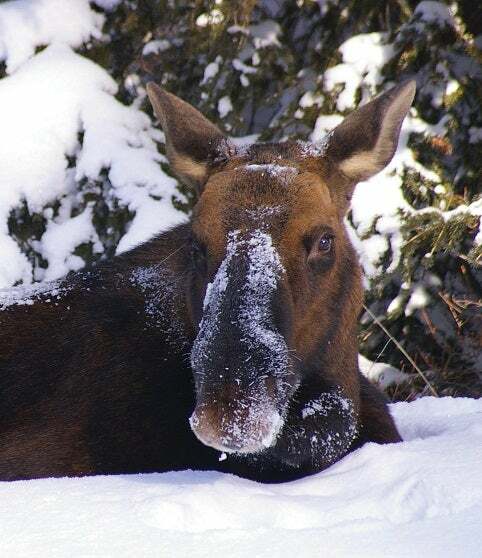 The Maligne Canyon Icewalk Winter Wildlife Discovery Deal in Jasper Alberta is an amazing way to see more and pay less! 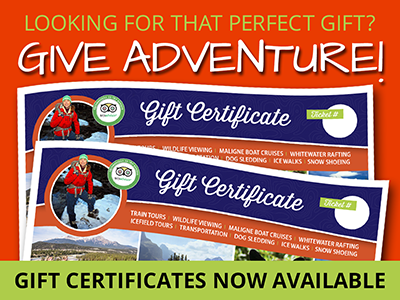 Read the descriptions below to discover all the amazing sights you can experience at a discounted rate. 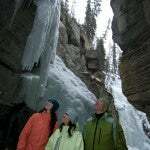 The Maligne Canyon Icewalk Tour Jasper Alberta is one of Jasper’s most popular and impressive winter adventures. 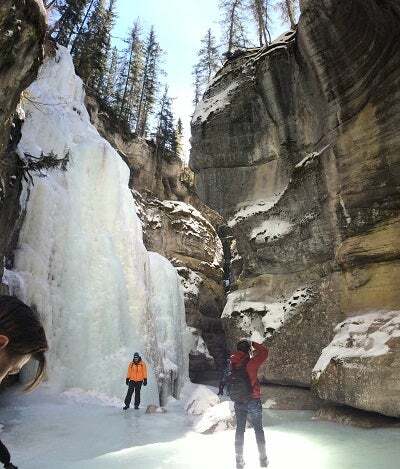 Your Sundog tour guide will take you to the bottom of the Maligne Canyon – the deepest accessible canyon in Jasper National Park – where you will explore frozen waterfalls, ice caves, and incredible ice formations. 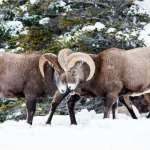 You will learn about Jasper’s Maligne Valley, Karst topography, and the mystery of the “disappearing” Medicine Lake. 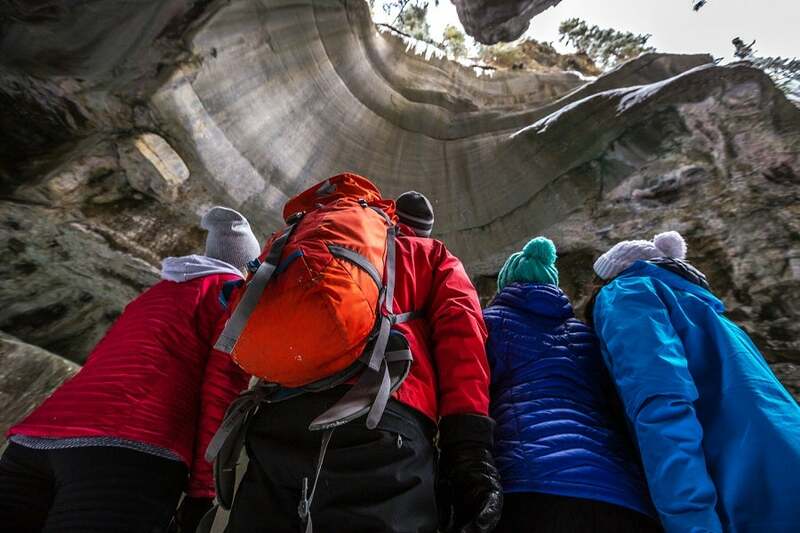 The Maligne Canyon Icewalk Tour is a great option for anyone who does not ski or snowboard. Or if you are visiting for the week, get a full morning of skiing the slopes and then head into the Canyon for the afternoon. The Icewalk Tour covers approximately 3.5 kms (2.1 miles) and is mostly downhill. Participants are required to dress appropriately for the weather. 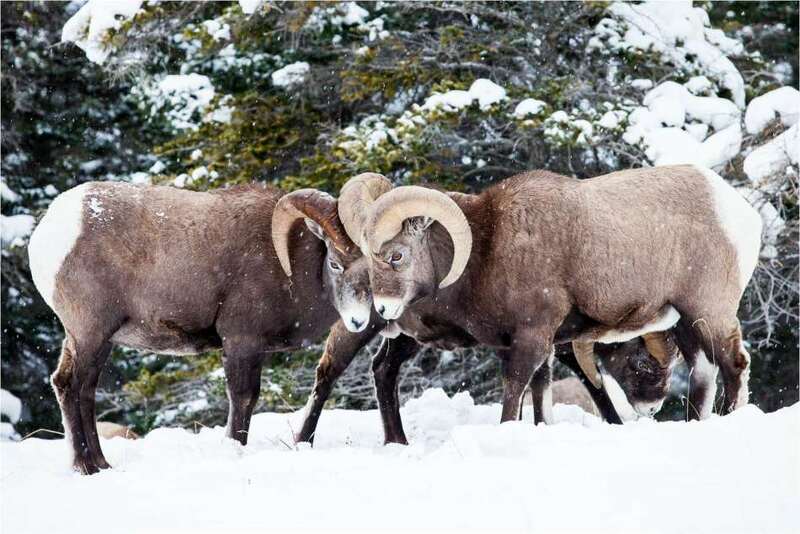 Transportation is included and pick-ups are available from all Jasper accommodations. Please indicate your shoe size when booking as warm boots and ice cleats will be provided.